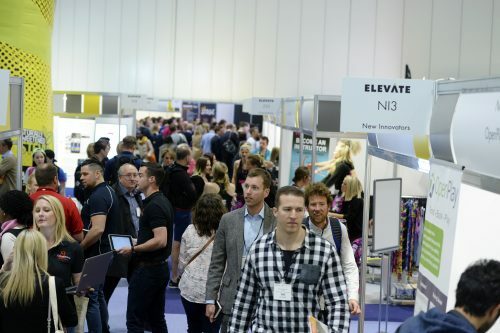 As many of you are aware I am an avid attendee of conferences, I recently put a list together of key fitness conferences/conventions in the UK. I have been a regular on the conference scene for well over ten years and at some point have attended most of the major conventions in the UK and USA. I often get asked about my reasons behind parting with my hard earned cash to attend the number of conference days that I do, these reasons are numerous and I am going to try and explain each one below. Education – as somebody who is always seeking opportunities to develop myself and my knowledge the access to good speakers at conferences is a massive learning opportunity. Attending conferences can be one of the easiest ways to hear from a broad range of leaders in your field in a short period of time. Looking over the seminar steams and keynotes often helps me decide if attendance at a given conference will be worthwhile. In all the time that I have been attending conferences I have never come away from one without having learnt something new, or somebody having put a new slant on something for me. Take the opportunity to absorb from as many people as possible and then this may lead to avenues you wish to pursue later. Networking – another aspect I consider is what networking opportunities might there be? Social media has allowed for the relatively easy access to experts and fellow professionals in our field, we can easily connect and then interact with them on a number of social platforms. Conferences allow for a specific opportunity to schedule some face to face time with some of your contacts to help to develop and deepen your relationships. Reach out to people and see who would like to come with you to a talk or catch up for a coffee. Look out for my upcoming guide to networking at conferences. Innovation – as we are aware one of the key things to staying ahead of the curve on any field is being current. This is important if your part of a large organisation or self-employed. Knowing what the upcoming trends are and catering for them helps to keep your organisation on trend. Conferences are the places where you will get the insight on what these next big things will be. Not only from the industry experts presenting but also from those exhibiting. Business – conferences present a number of great opportunities to pitch yourself and what you do. The sheer number of people all gathered together from the same industry at a number of different levels of responsibility presents a massive business development opportunity. As you can see from the reasons discussed above there are so many reasons to attend conferences. Once you have decided that you will attend and that it will lead to a worthwhile return on your investment, the next thing to decide is which out of the busy conference calendar you will attend. What are you looking to get out of a conference? Who will be speaking and exhibiting? If you have any questions about specific conferences or would like some advice on the best ones for your needs comment below or reach out on social!